The Tampa Bay Lightning lead the Boston Bruins by 19 points with 11 games to play in the Atlantic Division after defeating the Red Wings in Detroit on Thursday. Tampa Bay, 12/1 to win the Stanley Cup, did things the hard way too, as they spotted their hosts a three-goal advantage before roaring back with five unanswered on their way to a 5-4 triumph. 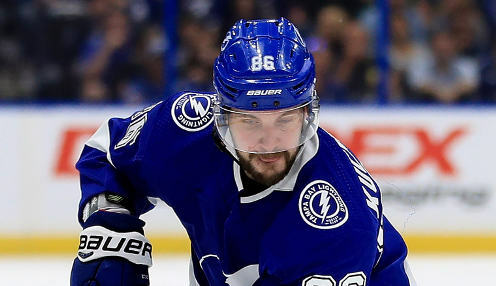 Nikita Kucherov scored twice and Steven Stamkos, Brayden Point and Tyler Johnson were also on target for the Lightning, who made it three wins in a row and defeated Detroit for the second time in six days. Saturday, Tampa Bay will welcome the defending Stanley Cup champion Washington Capitals to the Amalie Arena and will play the Capitals three times over the next two weeks in what could well be an Eastern Conference Final preview. The red-hot Arizona Coyotes follow the Capitals into town and then the Lightning open a three-game road swing in the nation's capital the middle of next week. Meanwhile, the Bruins didn't help their own cause with a loss to the Jets in Winnipeg. After recording a regulation point in 19 consecutive games some let down was anticipated, but Boston has now lost three straight to the Pittsburgh Penguins, the Columbus Blue Jackets and the Jets. The Bruins have shipped at least four goals in every defeat and this is exactly the wrong set of circumstances for Boston with 11 games to play. The Toronto Maple Leafs have not exactly set the world on fire the last couple of weeks and indeed are an identical 6-3-1 with the Bruins over their last 10 games. That said Toronto may fancy their chances in a first-round match-up if Boston doesn't have momentum heading into the post-season.